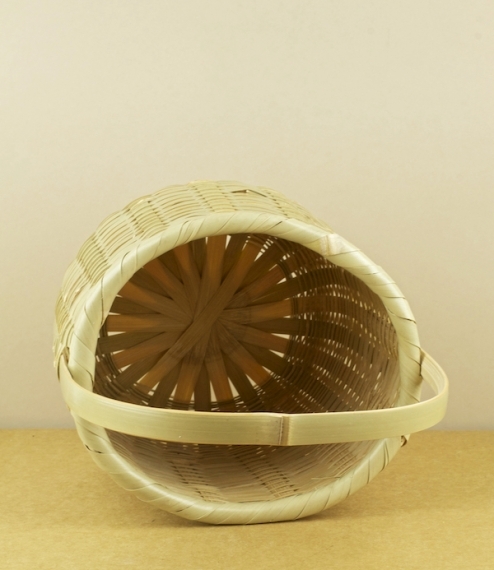 A beautifully hand-woven and deceptively sturdy water resistant split bamboo basket from Ehime Prefecture in southern Japan of a type traditionally used to ferry cosmetics, modesty towels, and small personal effects to and from onsen, the volcanic hot springs and traditional public bath houses of Japan. With a high handle and deep basket, these are ideal for carrying and keeping upright bottles, be that of shampoos, oils, body washes, or refreshments. 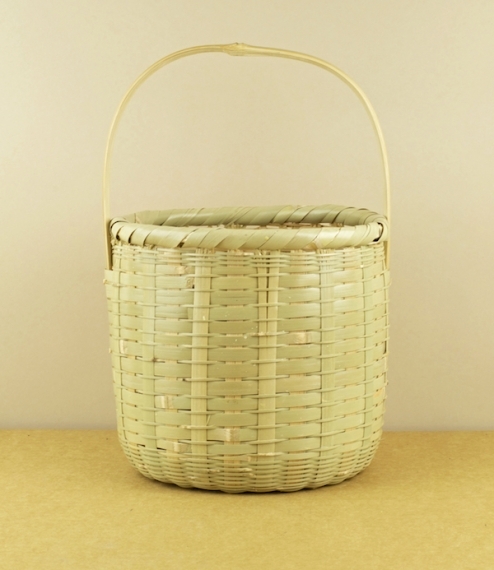 Diameter approximately 18cm, height to basket rim 16cm, and height to handle top 29cm.